MacNeil Wash Systems has announced that it has been awarded U.S. Patent No. US D833,693 S for the CleanTouch Reach Arch. 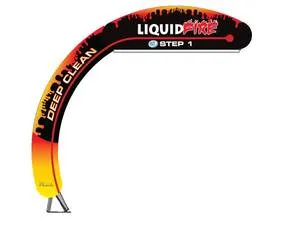 The arch includes corrosion-resistant white Pro-Coat from 3M™ and can be used with numerous application mounts. Its ornamental, single-leg design creates an open, spacious feeling in tunnels. The two-piece lexan panels can be customized and can be illuminated with optional yellow, red, white, or blue LED lights. It installs easily into new or existing tunnels.